Nutella is a delicious Hazelnut spread laced with chocolate. It’s perhaps one of the greatest flavor combinations ever. Millions love it and now we can unite and celebrate this culinary wonder together on one day in February. Nutella is based on the Italian chocolate confection called Gianduja, a chocolate that is about 1/3 hazelnut paste. It was created in Turin during the Napoleon Regency in the 18th Century. In the post-War era the confection was sold as a solid block but that quickly changed to the creamy version with which we are now familiar in 1951. It was called “Supercrema.” Seeing potential to sell this wee bit of heaven in a jar across Europe, the name was changed to Nutella with production of the new variety starting in 1964. World Nutella Day was created in 2007 when Sara Rosso, an American blogger living in Italy, thought that there were many days in the year but no day set aside to appreciate Nutella. Why not? Sara recruited Shelley from At Home in Rome to be her partner in crime for World Nutella Day 2007. In subsequent years, Sara was joined by Michelle from Bleeding Espresso as they spread World Nutella Day love! 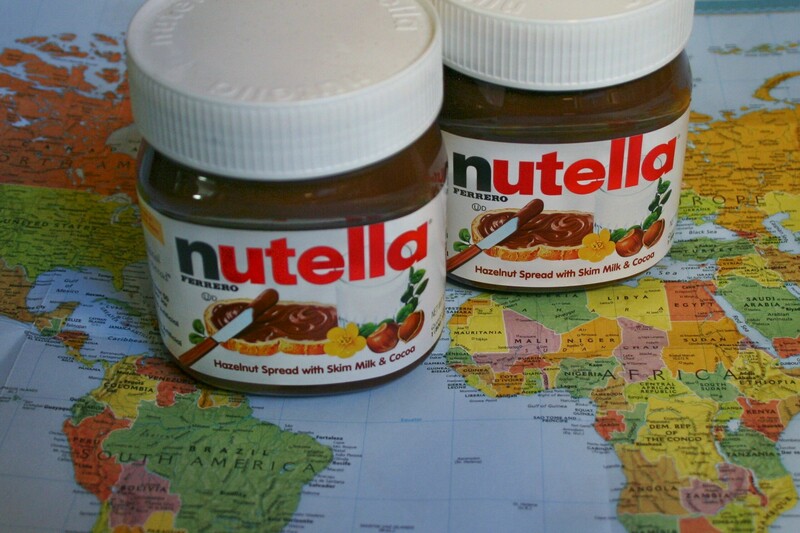 And World Nutella Day was born. The day is celebrated on 5 February every year.